Uniforms are not a modern concept, they have existed since the time humans started establishing organized enterprises. In fact, the name is itself synonymous with consistency and stability. If your enterprise requires a housekeeping staff, your first priority should be investing in good quality, sturdy and neat looking housekeeping uniforms. Housekeeping is a tough job that requires you looking presentable and neat in front of the clients at all times. Not many dwell into the specifics of fabric and manufacturing but this could be a major initial error on your part. Why invest in good housekeeping uniforms? Housekeeping as a job requires being good at multiple tasks at hand. It requires being quick, strong and meticulous and you cannot risk being shabby at work at the same time. Considering the work conditions your housekeeping uniform and attire becomes your armor and hence partnering with a good uniform manufacturing company and investing in housekeeping uniforms becomes a must. It goes without saying that the quality of fabric matters. 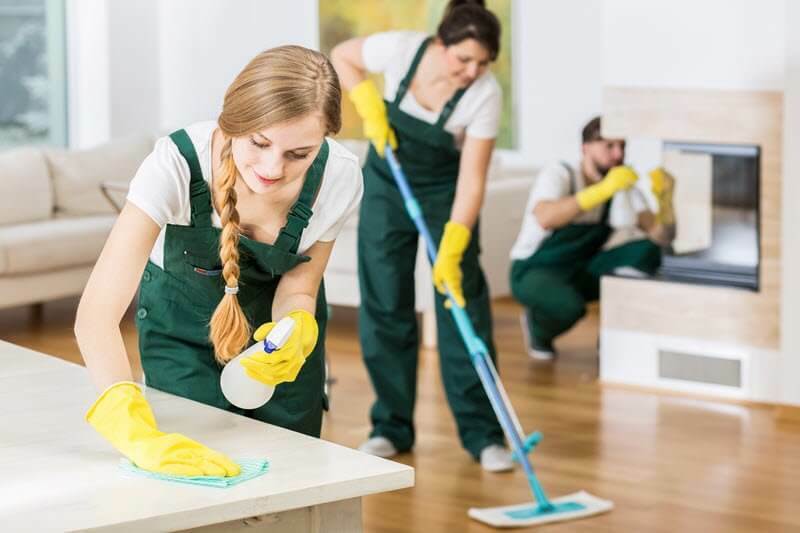 Housekeeping requires some heavy lifting that varies from the work in the kitchen to cleaning of spaces and moving heavy objects. You need clothing that isn’t fragile and is able to withstand the heavy work. Presentation is key. It is important that the housekeeping uniform looks clean and crisp at all times. Therefore, invest in fabric that is easy to wash and does not retain tough stains. Additionally, quick drying clothing should be preferred so that the uniform is always available for your personnel. Never underestimate the power of a well-fitting housekeeping uniform. Clients form opinions and impressions quickly and ill-maintained housekeeping staff is probably the last thing you want in front of them. In contrast, if you are able to enrich the quality of your services by investing in something as little as customized and well-fitted uniforms your brand value increases manifolds. Once you’ve figured out the perfect housekeeping uniform that showcases your brand its values the next step is looking for a specialist to enhance your idea and put some practical industry experience. Atlas Infiniti has been a specialist uniform manufacturer with an established name for itself in the housekeeping uniform manufacturing industry and has been the repeated choice of its clients. There are a variety of clothing choices you might require for your housekeeping staff. This includes shirts, trousers, skirts, dresses, aprons, tunics, etc. These would include your brand’s logo to be imprinted at a place that is visible to your clients and a colour combination that goes with the design that marks the colour of your brand. The specifics of anything customized or personalized can sound intimidating and expensive, to say the least. At Atlas Infiniti we know investing in expanding your brand can be worrisome and thus, we strive to make the process as uncomplicated and as easy on the pockets as possible. Our team of experts makes sure that your housekeeping uniforms are exactly in accordance with your wishes at prices that make your investment worth it.